The Liberal Party marginal seat campaign in the March 20 South Australian election was a disaster, writes David Donovan. The federal Libs will need to raise their game if they hope to win the forthcoming election. Labor's win at all cost approach may be the Liberal's biggest threat at this year's federal election. THE South Australian election was a strange affair that saw the Liberals win the popular vote, yet lose the war. Despite a state-wide swing to the Liberal Party of about 7.5 per cent, and the Labor Party ending up with only 48 per cent of the total vote, the Government managed to lose only 2 seats. There are lessons for the Liberal Party in effective marginal seat campaigning that could make or break them in the imminent federal election. The SA election saw violent swings of between 15 to 20 per cent to the Liberals in previously safe seats, such as Adelaide and Chaffey, that resulted in the unseating of Ministers. Meanwhile, seats that were expected to fall to the Liberals on the basis of the expected state-wide swing, such as Light and Mawson, saw small swings of between 2 and 3 per cent, in fact, towards the Labor Party. Some in the Liberal hierarchy probably see the result as a victory of sorts, because 12 months before the election, according to opinion polls released around that time, the Liberal Party was looking down the barrel of electoral decimation in SA. The reality, however, is that the Liberal hierarchy pursued an ill-directed strategy in which campaign resources and policy initiatives were directed towards safer seats in an effort to win Government, whilst relying almost totally on the expected swing towards the Party to win the most marginal seats. Because of this, the Liberal Party gains were patchy and they failed to land the killer blow on a prone and crippled opponent. The Australian newspaper stated it clearly on Monday 22 March, 2010 “...given the momentum Redmond was generating, the conservatives became too focused on the seats further up the pendulum that they needed to win to form a government, such as the electorate of Adelaide, which the party won with a 15 per cent swing”. The error was compounded when ALP campaign guru Bruce Hawker began directing the Labor Party’s efforts in the final weeks. Seeing the Liberal's strategy, he began directly his sides efforts almost solely towards retaining marginal ‘must-win’ seats and to hell with the rest. Under the experienced Hawker, Labor was professional, smart and prepared to play dirty to win. In the end, despite losing the popular vote, it was enough to keep them in power for four more years. 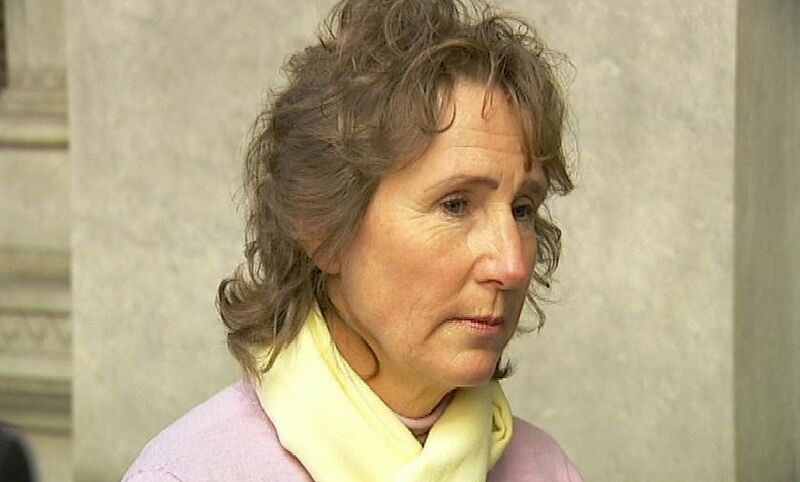 Isobel Redmond: "would not change anything" about her campaign (picture from ABC news). Despite Hawker's genius and win at all cost approach, questions must be asked about the neophyte leader of the Liberal Party, Isobel Redmond. Under pressure, she was unable to make the critical decisions necessary to counteract the ALP's vigorous marginal seat campaign. She must, therefore, take the lion’s share of the blame for the Liberal Party losing an election that, in the end, was there for the taking. The seat of Mawson, in which my brother Matthew ran, was one of these marginal seats. It is also one in which I was in a small way involved in the final stages of the campaign. 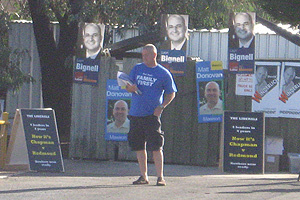 Leon Bignell, the sitting candidate, was a journeyman local sports journalist before becoming Mike Rann’s press officer and then gaining preselection, and ultimately winning, Mawson in 2006. Through Hawker's ruthless tactics, he managed to defy the statewide swing to the Liberals and attract a swing of around 2.2 per cent towards him. South Australian Liberal Party power-broker, Alexander Downer, said on ABC’s election night coverage that Bignell had won against the tide because was he was an “outstanding candidate” who had “worked hard in the community”. Yet a Sunday Mail poll in September 2009 showed that only two in seven voters in Mawson were, before the 2010 election, aware that he was even their local member. In truth, Bignell was a quiet backbencher whose main claim to fame was in being caught by the press gallery doodling members of the Opposition during budget estimates. In any case, experts say that even the best a run and most energetic local campaign can only shift a maximum of 2 per cent of the vote. In this case, the net swing (after adding the statewide swing to the Liberals) was about 9 per cent. Bignell was not the reason for the strange result, and this is supported by the fact that this strange swing towards the Labor Party in defiance of the statewide trend occurred in other marginal seats. Matthew Donovan, who was not a celebrity candidate, was also not to blame for the result as he worked hard in the lead up to the election. As stated on his website he was a “small businessman” who has been “operating in around the electorate of Mawson for many years”. In fact, he gained pre-selection for Mawson by the Liberal Party only 12 months before the election after the previously endorsed candidate, ex-Federal member Kym Richardson, was replaced in controversial circumstances after being accused of impersonating a police officer. He had developed a reasonable head of steam in his year of campaigning for the seat. Documents in my possession indicate that he door-knocked 2700 houses during the campaign and went to more than 100 forums, including two traffic forums he set up himself. As a result of issues raised at these traffic forums, he began campaigning in shopping centres throughout the electorate for the duplication of the Southern Expressway. 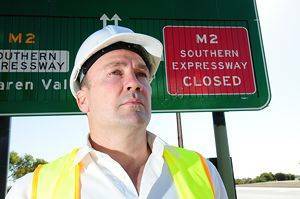 Matt Donovan made the Southern Expressway an issue, but was not supported by the Liberal Executive. The Southern Expressway is a bypass road to the city in which one end comes out smack bang in the middle of Mawson electorate. In the morning it runs one way and the other way at night. 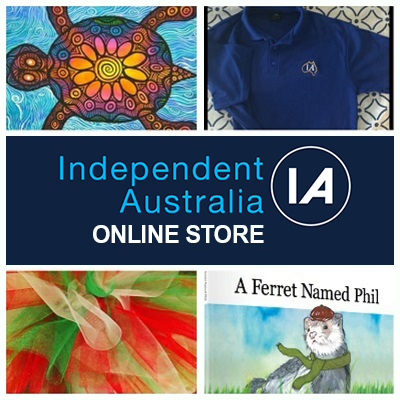 It is an embarrassment and an annoyance for the people of the south of Adelaide. At the height of his campaign in December and January, a petition to duplicate this Expressway began attracting over 100 signatures an hour. A facebook page dedicated to the issue also had over 600 members. It was popular move as Bignell had never made any statement concerning the Expressway. 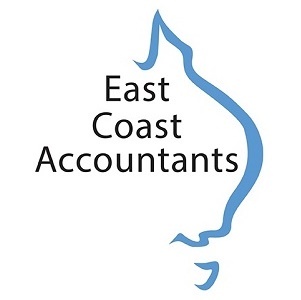 Further, Transport Minister Pat Conlon had announced in December 2009 that there were no plans to duplicate the Expressway in the next term of Government as it was “too expensive”. On Febuary 17, Isobel Redmond was set to announce in the afternoon a funding initiative to make this road two-way. On this day, at about 9am, Isobel Redmond finds hereself on ABC Radio with Matt Abraham when her press officer hears that Premier Mike Rann was about to announce Labor's own plans to duplicate the Expressway later that morning, thereby gazumping the Liberals. Frantically, he passes a note to Matt Abraham, who was aware of the scheduled policy announcement, saying it was “OK to announce the decision now”. Redmond picks it up and reads it. Astonishingly, she refuses to announce a decision she was going to announce later that day anyway. Click here to hear Redmond freezing in the full glare of the media while Matt Abraham literally begs her to announce the decision she was to announce later that day anyway. The pre-arranged announcement by Redmond was then cancelled and the policy was ultimately never to be spoken about by her at all at any time. Finally, on the 17th of March, in the middle of the night, three days before the election, a press release was placed on the SA Liberal website saying simply that the Liberals would match the policy decision of the Government on the Southern Expressway. This announcement was soon contradicted by Liberal Treasury spokesman, Stephen Griffiths, on the day before the election, when he admitted on radio that the $445M Southern Expressway project had not included this in the just released Liberals election promise costings. Redmond dropped the ball. Griffiths kicked it out of the ground. When I spoke to voters as I handed out how to vote cards for my brother (not the Liberal Party) at Reynella East State Primary School, they told me that it did not appear as if the Liberals were serious about the Expressway project. It was difficult to contradict them, as the evidence showed that they had every right to believe that Labor was more likely to do this project than the Libs. In hindsight, it seems likely that Redmond was never truly committed to the project and was giving herself an easy out to cancel the project later if elected as Premier. Leaving aside this lukewarm “me too” Expressway policy promise, which no doubt most people did, the only other commitment made by the Liberals was $200,000 for a McLaren Vale music festival, which was announced in the last week of the campaign, again by placing it without fanfare on the SA Liberal website in the dead of night. In stark contrast was the buckets of money the Labor Party was prepared to offer these lucky marginal electors to sandbag the seat against the electoral tide. The major initiative, of course, was the Southern Expressway, but the Labor Party went further and offered to favour local jobs in the construction of the project and made the announcement on the TV news along with full radio and press coverage. They further announced a Fly Over at the McLaren Vale/Victor Harbour Road ($18M), extra bus services to McLaren Flat, broadband services for Willunga, the Piazza Del Vale development for McLaren Vale ($700,000) and 100 new jobs for the local area. In terms of campaigning appearances by the heavy-hitters, Isobel Redmond made only one appearance in Mawson, for 20 minutes just 200m inside the electorate in the last week of the campaign. Labor, on the other hand, brought the Premier down to Mawson four times and hosted the Prime Minister during the campaign as well. Labor barraged the electorate with direct mail daily in the last weeks of the campaign reinforcing the Southern Expressway message over and again. The Liberal Party released a mere two or three, and only one in the crucial last week of the campaign signed by Isobel Redmond. Again, tellingly, it did not mention the Southern Expressway. On election day the Labor delivered so many ‘Chapman to challenge Redmond’, ‘Jobs for the South’ and ‘Two way Expressway’ poster boards to polling booths that Liberal how-to-vote volunteers had no choice but to stand next to them. The Liberal boards, what few there were, mentioned something general and mundane about “Health” and “Education”. Union official handing out fake Family First how to vote cards, dressed in a Family First T-shirt. And, perhaps most tellingly, Labor stooped into the gutter in the four most marginal electorates, including Mawson, to engage in the now notorious fake Family First how-to-vote card rort. Labor volunteers, fully endorsed by the Labor Party Executive, wore blue Family First t-shirts, stood near Family First banners and handed out Family First how to vote cards that preferenced Family First first and Labor second. Immoral as that was, it does demonstrate how committed and determined they were to win the election. Isobel Redmond said in conceding the election to Mike Rann’s Labor Party that she “cannot think of anything [she] would have done differently”. A more pertinent question might be what did she actually do? It seems clear that rather than any real swing to Redmond, the real swing in the election was away from Rann as a result of the tawdry Michelle Chantelois episode, and his ministerial cronies as a result of their acknowledged arrogance and lack of respect for the electorate at large. 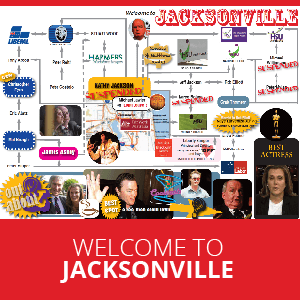 This is the most obvious explanation for the swing against Labor in safe Labor seats. The Liberal Party were determined to present a small target and run an ultra-conservative campaign with few bricks and mortar promises. The result was that their party improved in the overall standings, but could not achieve power. As such, the campaign failed miserably in its objective and whoever was involved in developing it should, but probably won't, be held to account by the disappointed party faithful. It also presents lessons for the Federal Liberal party in the lead up to the Federal election. Labor will do anything, no matter how seemingly immoral, to win and are experts at using all their resources, especially through the union movement, to shore up marginal electorates. Unlike Labor, the Liberal Party are not clever campaigners in close seats and will need to raise their game in this area if they are to gain power later in the year.